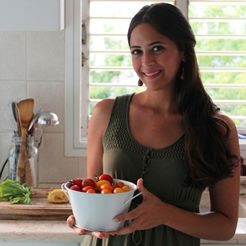 Kick off the year with this healthy and bright salad! Your kids will love the pop of color in their lunchboxes. This four ingredient watermelon mint salad is so simple and so flavorful; all you need is watermelon chunks, sweet blueberries, mint leaves, and lime juice! Step 1: Cut the watermelon into 1 inch chunks. Roughly chop mint leaves. 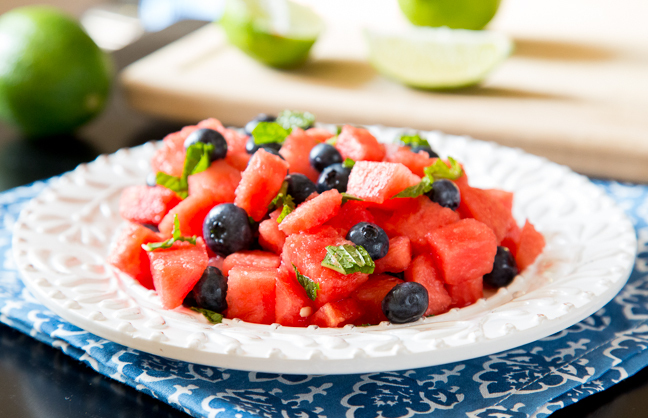 Step 2: Toss the watermelon pieces, blueberries, mint leaves, and lime juice. Serve chilled.